Big discounts, Members FREEBIES, and still again MORE FREEBIES!! Now, members banking valuable points! A new buyers-club-member rewards program is launching. ALL buyers club members in good standing are automatically enrolled. 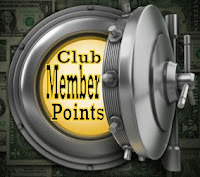 ALL member purchases during the program period effectively build your reward points! 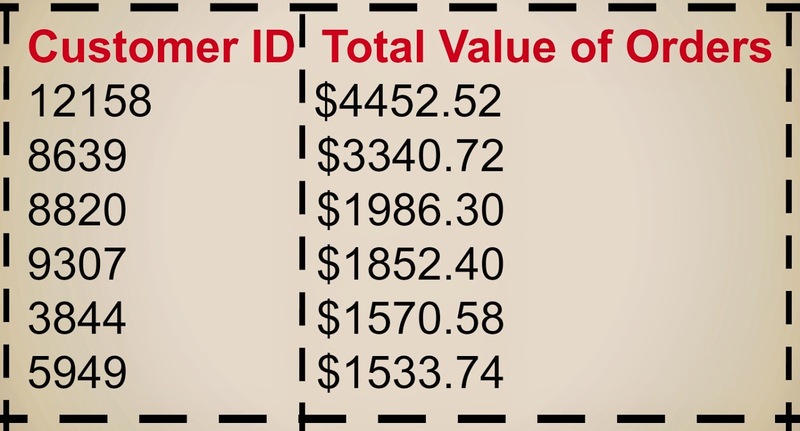 During this program, you can easily determine your current points that are accumulating by logging in to your account and totaling the dollar total of your purchases made through the program period. Then multiply that total by .05. Joila! ... that is the number of points you are banking. Note that we are not updating totals or providing regular reports of where you stand. If you need help determining your points total or you have questions, email us and we will get back to you with your up-to-date total. Your points will be released from the Vault during the month of January 2016. During January, you will be able email us and request reward point vouchers to be used to redeem one or more of the following select prizes. Your points must be redeemed during the month of January 2016 only. Oh ... you want to know what you're saving up for, you say? Check the details here. Mega Mountain House Food Sale: w/ Up to 12 Survival Freebies! Things are really getting crazy out there in the world and anyone who is paying attention knows it's only going to get worse ... a lot worse. 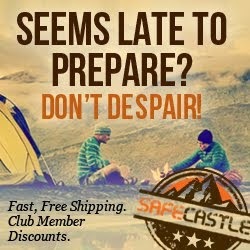 At Safecastle, we're offering up a sweet opportunity to lay in some critical food supplies with HUGE discounts on Mountain House freeze-dried food. Mountain House is the gold standard of long-term storage food--dozens of delicious varieties in #10 cans, and up to 30 year shelf life! Not only are we providing this food to you in cases at bargain pricing (and FREE shipping to the lower 48), our buyers club members are also reaping the "Road Warrior Bounty" of up to 12 survival FREEBIES with their qualifying purchases! There is no time to waste. Get your prepping done. Shop Mountain House and get your deliveries fast. Scope out the FREEBIE details here. HUGE Mountain House Discounts ... and CRAZY Freebies too! The fury, the madness ... post-apocalyptic visions are nightmarish in the hands of modern filmmakers. We say, "Don't get MAD, Max ... get PREPPED." There's peace of mind in the right gear and supplies when you lay it all in before it's needed. Right now Safecastle is celebrating the opportunity we still have before things get totally out of hand out there. We're seriously marking down Mountain House food--the gold standard of long-term storage food. The following freebie bounty is cumulative. In other words, if a buyers-club member buys 10 cases of MH cans (in a single purchase), ALL the milemarker freebies up to that point will be reaped! Read more here. What is Safecastle Loyalty Program ..
Few more weeks you still have some time to qualify for cash back. 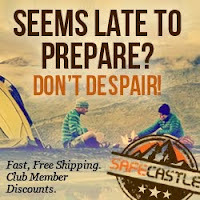 - In brief, every buyers club member who registers for the 2014 Loyalty program will earn a rebate gift certificate worth at least 1% of the total value of their year's purchases at Safecastle ... yes, retroactive to Jan. 1, 2014. - If total purchases for the year exceed $5000, then the total rebate gift certificate will be at least 2%! - Throughout the year, there will be special offers made that will provide the opportunity to further increase that year-end rebate percentage! This bag was originally designed by CountyComm for law enforcement (LAPD) and some of our friends in the U.S. military. Our earlier Bail-Out Bags are still in heavy daily use with: LAPD, San Jose P.D., Santa Clara County Sheriffs Office, San Francisco P.D. and individual officers across the country. They were designed from the ground up to be the ultimate personal gear carry/last resort bailout bag. 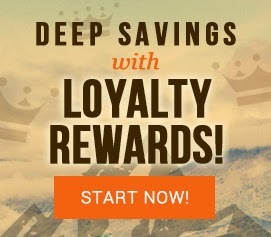 Every buyers club member who registers for the 2014 Loyalty program will earn a rebate gift certificate worth at least 1% of the total value of their year's purchases at Safecastle. Yes, retroactive to Jan. 1, 2014. If total purchases for the year exceed $5000, then the total rebate gift certificate will be at least 2%! Throughout the year, there will be special offers made that will provide the opportunity to further increase that year-end rebate percentage! Deep discounts on so many products! Fire Base & Drawstring carrying bag are included as Standard Equipment with each Kelly Kettle. The fire bases invert partially up into the bottom of our kettles to make the unit as compact as possible for transport and storage. A highly efficient Outdoor Camping Kit which is suitable for Car Camping, Family Picnics, Scouts, Kayakers, Caravaning camping or anyone who works or enjoys the outdoors. 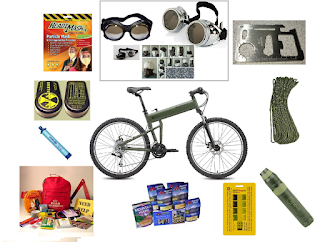 A vital item for Wilderness Survival Kits / Disaster Kits.. Extend the shelf-life of pharmaceutical products, dry mixes, food, and many more items. Meets FDA and USDA standards for food use. Keep 12V batteries charged and ready to go for when you need them most. The Guardian 12V Charge Controller plus Goal Zero Solar Panel is the perfect system to protect your batteries when they're not in use..
More Solar Products click here. More Food Storage Products click here. Our freeze dried peas are places in puncture-resistant, resealable pouches. This delicious vegetable is packed in resealable, puncture resistant, Metalite pouches. Relied on by the US military overseas ... the most rugged, longest lasting microfilter available. (Buy 2 get 1 Free) ! This is the filter you've been hearing about. The Lifestraw has earned its chops in Africa--saving lives and reducing disease fatalities over the last several years. Whatever the Hazard, this Kit protects. The threats are many-from pandemic and biological-attack scenarios, to everyday infectious dangers from mold, staph bacteria, viruses, and mildew. Even odors are no match for this state-of-the-art solution adapted directly from industrial and hospital applications. Labels: freebie, giveaway, Loyalty Royalty, Prevention, Royal, safecastle, Safecastle sales, sale, SHTF, storage food, stove, supply food, survival, survival gear, Travel, water filters, Why prepare?